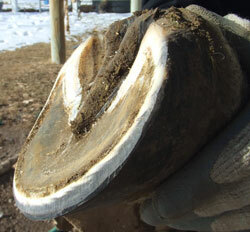 How often do you need to trim your horses hooves? The answer to this question will vary widely, because horses in different situations wear their feet differently. 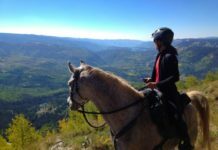 On one end of the scale, we have heard of horses that live on many acres of dry, partly rocky ground, and go for long trail rides several times a week, maybe need a trim only once a year. Natural Hoof Trimming has it’s advantages! On the other end of the scale, horses living on soft pastures and never getting enough work to wear on the feet need hoof trimming at least every two to three weeks. If you let the feet go to much longer that’s when they start to flare. A transitioning hoof needs to be trimmed when the toe wall has grown to the level of the sole, to prevent flaring of the still weak white line. 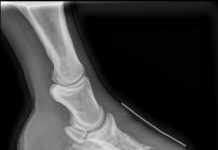 A horse that has regained concavity and is getting a maintenance trim and receiving Natural Hoof Care can probably be left till the toe wall is 1/8 inch (3MM) longer than the sole. Some horses wear the toe enough that it rarely needs a trim; in that case, trim when the quarters need it to prevent flares and cracks from developing there. If the wall keeps flaring, trim more frequntly and consider the grass issue (insulin resistance). A horse will not go sound on gravel until the white line is completely tight. In the UK and eastern US, grass laminitis is the major concern in trimming your horse. See www.safergrass.org. 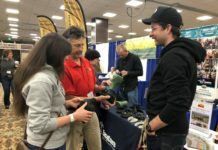 Keeping the hooves trimmed and maintained will help avoid horse hoof problems, as well as using Protective Horse Boots such as the Easyboot Glove the latest and greatest boot offered by EasyCare! Previous articleMadison Mounted Unit Trusts Their Easyboots!